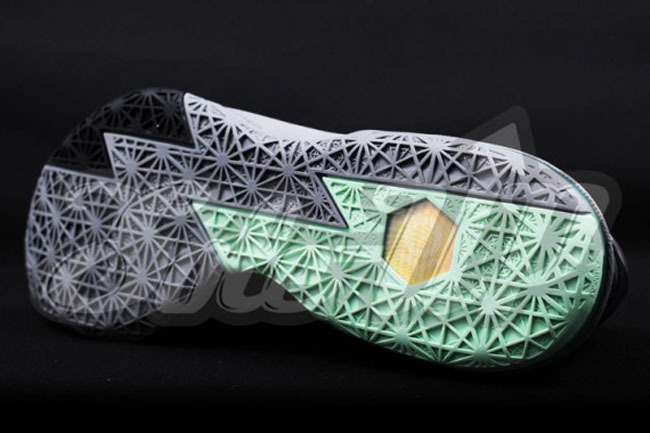 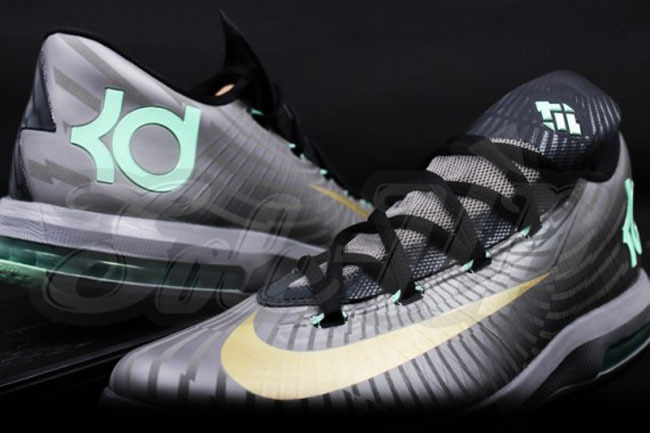 If you missed out on the "DC Preheat" KDs, but were a fan of the graphic, you may be interested in this more subdued take on the print. 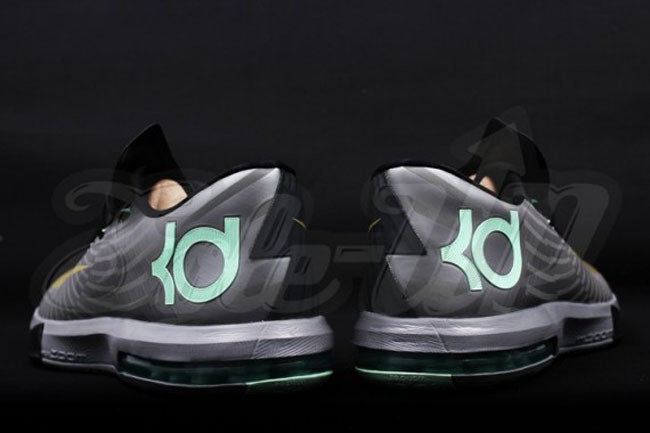 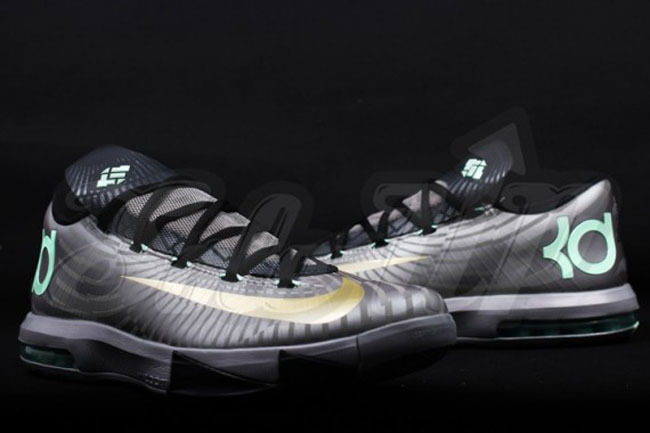 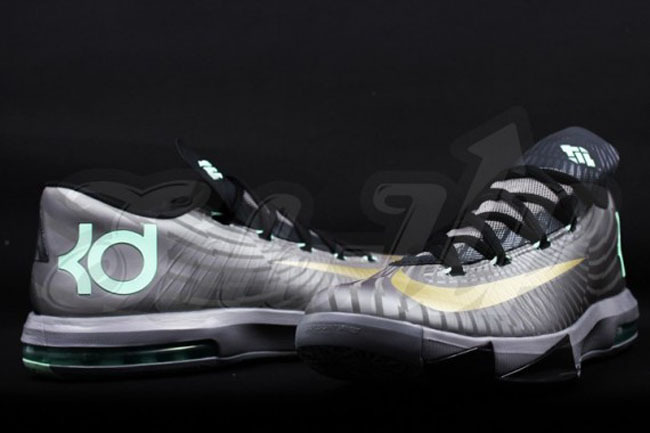 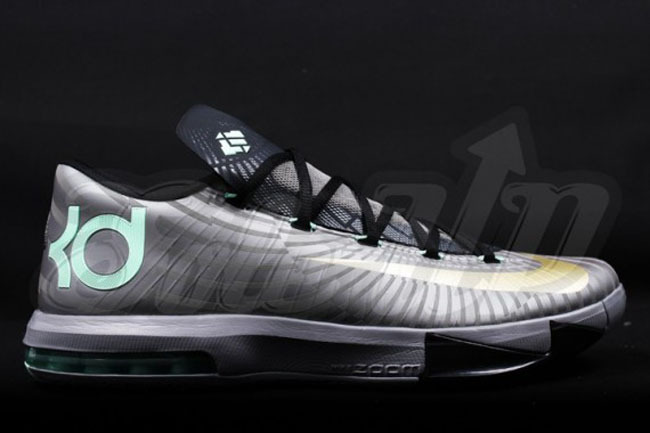 This new colorways of KD VI features a tonal graphic on Silver Grey upper, with Green Mint details, and a Gold Swoosh. 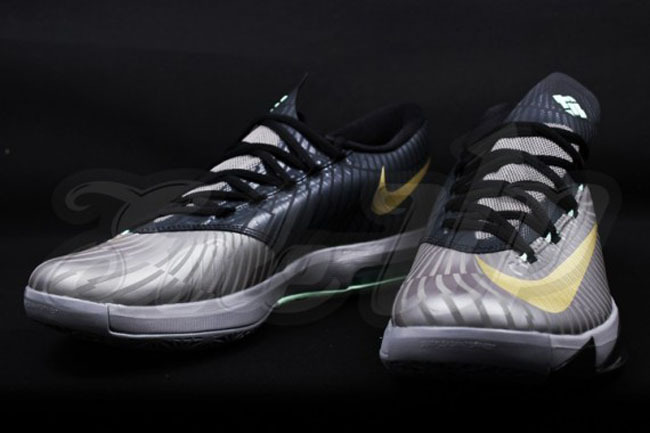 There's no word yet on an official release date, so check back for more info.